I realize setting goals is an important part of being successful. I have daily goals set for what I want to accomplish, monthly goals set for which metrics I want to increase, and yearly goals for what I want to do with my business. I ended up missing an important goal though, and when it comes to networking it’s the one type of goal setting you need to put some time in to whether or not you plan on attending networking events: what drives you? Why do you do what you do? If you’re been reading Social Media Sun regularly you know that I was included in a media influencer group that got to test drive the Dodge Dart in Austin earlier this month. Everything was so positive about that trip that I now have an affinity for Dodge and Austin TX, and despite the interruption in my routine I’m looking forward to attending other automotive networking events in the future. Networking in person is much more effective than networking online. You just can’t make the same level of connections through e-mail. One of the only regrets I have about the trip, and it has been bugging me since I got back, is the way I answered a question posed to me by Ed Garsten. I was casually interviewing Ed on the drive back to the hotel, and he asked me what my goal was. I wasn’t surprised to get asked that, but it’s a question that I have always considered antithetical to my personality. I have goals, but at this time in my life I’m not as ambitious Caesar, but I’m not quite as altruistic as Bono either. I’ve been advised at least a couple dozen times to pre conceive answers to questions like this, but for some reason I never fleshed it out to the point where I understood my purpose. This website, Social Media Sun, is definitely my primary focus as far as web development and brand development goes. As I hesitated to answer, Ed prodded me, “… are you wanting to start a web development company or something?” Well no, I actually have a web development company – but I don’t, it’s strictly on paper and more like a banner and portfolio for the work I get talked into taking on – so rather than thinking about what my goals really are, I just said the stupidest thing I could think of. Now as dim witted as that answer seems, it’s true for the most part (let me elaborate before you label me an idiot and close this web page). I live in a poor area, and even though my day job pays relatively well it doesn’t allow me to live comfortably. I have a feeling that I won’t be truly satisfied until I have enough money that I can live comfortably and afford things that I need or want without worrying about going to work for eight hours every day. Security has been an important part of my recent success. I think it’s required for success in most cases. You don’t have to be rich to have security, you just need to get things like “how am I going to eat tomorrow?” and “if I can’t get the rent this month who will be less pissed off when I ask to stay with them” off your mind. I would most definitely do my own thing and pick up other streams of income, but I’ve never had the luxury of doing as I pleased. Don’t get the wrong idea, $75,000 would be a good start and would allow me to take a year or two to do things that are important to me. I do not want to sell my websites though, but at this time it seems like my skillset is most valuable in the role of overseeing all aspects of web property development, maximizing the value of a property, and cashing out. “I want to swim in money” is a terrible answer when you get asked about your goals though. Ed was a former bureau chief for CNN, and currently has a position with Chrysler in their broadcast media department that makes him someone I could potentially work for. I never have liked classifying people as “someone who could potentially be a professional asset” and “those that aren’t”. I believe that in this environment every person you meet can be a professional asset, but it’s clear that Ed has the connections and position to be a career maker to some extent. Totally blowing my chance at an elevator pitch with someone on that level was never on my to-do list. So what are my goals? I am unsure, and this is why. I obviously need to improve my financial prospects, so my goals begin at getting a lucrative job offer to developing a business that is profitable. If I had $200,000 tomorrow I’d build a small house here in Eastern Kentucky, enroll in college part time and spend the majority of my time developing all the web ideas that I currently don’t have the time to mess with. I’d ultimately like to live in my hometown so I’m reluctant to leave and apprehensive about ruling anything out. I’m also incredibly loyal to my current employer – even though they’re probably taking advantage of my situation and limiting my career growth – working as an engineer technician allows me to live comfortably in Eastern Kentucky and I’m grateful for that. It wasn’t until last night that I realized what my answer should be. 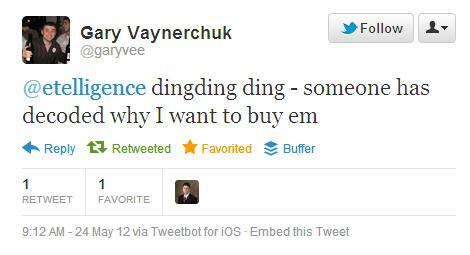 Gary Vaynerchuk has a multi-million dollar business and he’s a successful author and entrepreneur. Anyone who is familiar with Gary knows he still has a major goal; he wants to buy the New York Jets. It’s genius. Even though he’s well off, he isn’t well off enough to make that purchase. Football is a passion for him and his favorite team is the pinnacle of that. Gary Vaynerchuck is in the wine business, but it's no secret that he wants to be in the football business as owner of the New York Jets. Owning the Jets is a public business role. It’s basically Gary’s most coveted possession, his ideal professional position and represents several milestones in Gary’s career. When he buys the Jets you can logically estimate his net value, you can assume that he has cleared enough time to handle the responsibility, but you can’t assume it’s the end of his career. 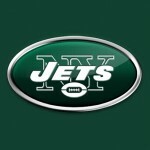 It doesn’t wrap everything up with a bow; in fact all owning the New York Jets represents is a new chapter. I realized that I want to buy the New York Jets. Not literally, I just want to reach a certain level financially where I’ll be able to do what I like on a professional and personal level. It’s a major goal and would represent an important milestone in my life, but it isn’t an end game. I haven’t thought enough about what I want to do for the rest of my life to know how much money it would take, so I don’t know how to relate my success goal with a tangible asset. A lot of entrepreneurs like to make their goal a round number, like a million dollars, but I know that money isn’t what will make my life worthwhile when it comes down to it. That’s why I just wanted to “swim in money” rather than “swim in a million dollars”. After reading my thoughts Gary conceded that I was spot on about why he wanted to buy them. When a single goal can convey so many things it's a definite candidate for your elevator pitch. 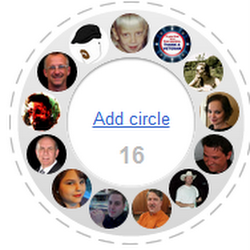 I do know that I’m extremely satisfied right now helping other people realize their goals through Internet marketing. I’m happy to be an evangelist for what is possibly the greatest paradigm shift since the industrial revolution, and is what I see as the digital answer to problems that the industrial revolution created. I’m lucky to have been able to create things and promote things online since before child labor laws would have let me get a real job (I didn’t realize how much then that those experiences would pay off) and that the basics of the Internet and coding in are stable enough that the experiences I’ve archived over the past 14 years translates into a firm foundation for creating and promoting things in 2012. My goal has always been scale because I’m really happy with what I’m doing, who I am and the things I can say that I’ve never had to do. People need to know that you stand for something. I enjoy talking to people, online and offline. I like that part of business (making products and services the best they can possibly be), and it’s a big part of the reason I’m drawn to this platform. We’re seeing regular people get a legitimate voice through social media and we’re seeing companies held accountable when they do something wrong. People who try to push their political agendas (like Occupy Wall Street) ultimately fail because they’re not coming from a genuine place. People who are only in it to pad their wallets don’t resonate on the same level because when it comes to social media, you can see right through them. So now that I’ve had time to think about it, what is my goal now? My Goal: I want to earn your permission to do the things I think need to be done. Ultimately that’s all a sale is when it comes to social business. It’s a vote of confidence. My goal with Social Media Sun has always been to give the power back to small business through online scaling, to bring people who share that sentiment together, convince others that it is entirely possible and teach those interested exactly how to go about doing it. People always ask me what I sale to make money online. I don’t have access to a warehouse of products I believe in, but I do know lots of people who believe in what they’re selling. Right now my goal isn’t about my dreams it’s all about your dream. I may not have the New York Jets, but I’m extremely interested in your New York Jets right now, and when my time comes I’ll know exactly what my New York Jets are. 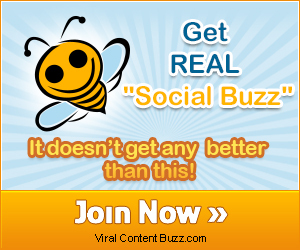 What are your goals in business, life and social media? tracking too. It’s clear, focused, easy to navigate, worth a try. I admire your goals and ambition Adam, you have my vote of confidence!